Cheers to a Great Semester! Just like that, Fall 2017 is done. It is so remarkable and surprising that time went by so fast- I still remember the first day of class in August so vividly! Especially since Chicago has not received much snow yet, it doesn’t feel like Winter Break is approaching yet. 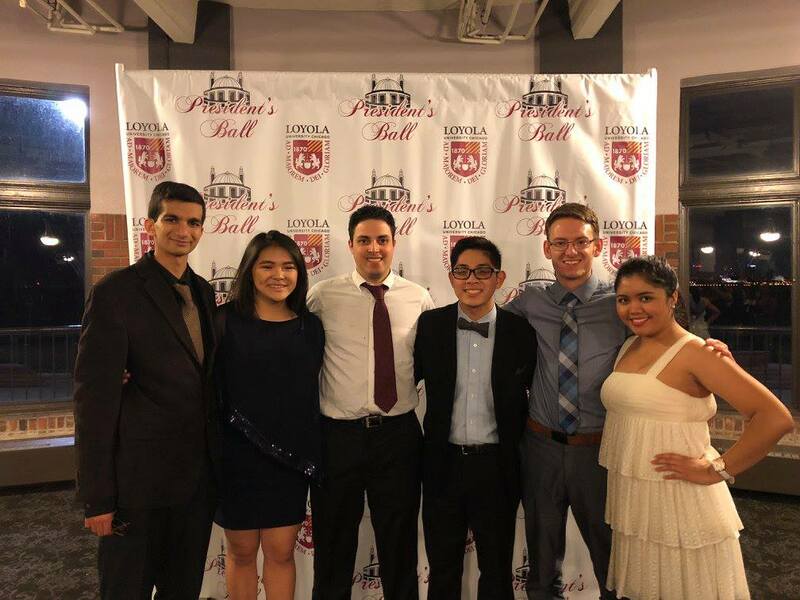 Anyways, it is good to end on a good note and I wanted to reflect on my *last* fall semester here at Loyola on this blog. 19 credits is a lot. Especially if you are taking multiple hard science-classes, doing 19 credits is a handful and you must be committed to your studies. To put this in more perspective, the “maximum” amount of credits a student can take is 18, but you can go over that too and cap it all off (with sprinkles and a cherry) at 21. I have not done 21 hours before, but I cannot fathom the amount of stress and workload those students have on themselves. Usually, there are two reasons for students going over 20 credit hours. (1) They want to graduate early (2)They only need 1 or 2 more classes more during that semester because it is not offered in other semesters. I am glad I went to the President’s Ball. I initially did not want to go because I had other commitments, but my friends encouraged me to go. I’m glad I went because I think all seniors should celebrate their accomplishments at Loyola. Plus, the ball is all Navy Pier (How fancy is that?!). I made it through my first semester of being the president of the Vietnamese Student Association. My organization had 3 major events and we have over 200 current members on our email list as well as 14 interns training to get an eboard position next year. I applied for graduate school (AND GOT ACCEPTED). This brings me great relief that I have a future ahead of me after I graduate from Loyola University. Tips to Surviving Finals Week!